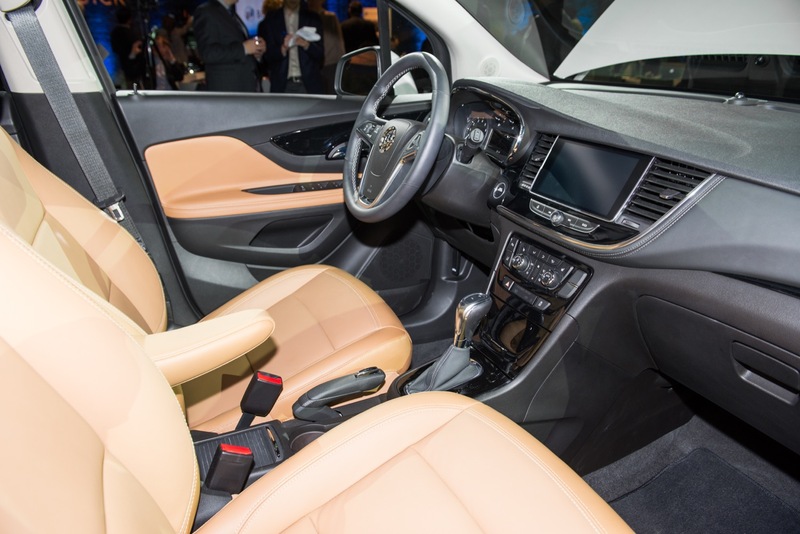 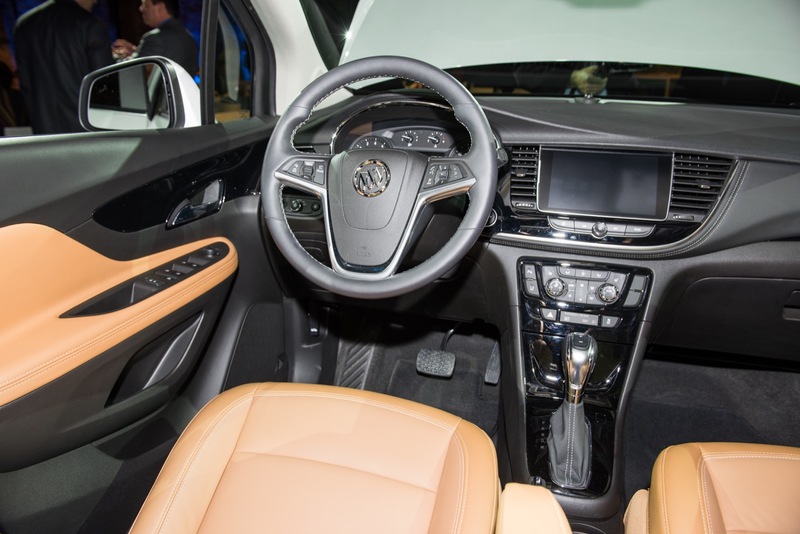 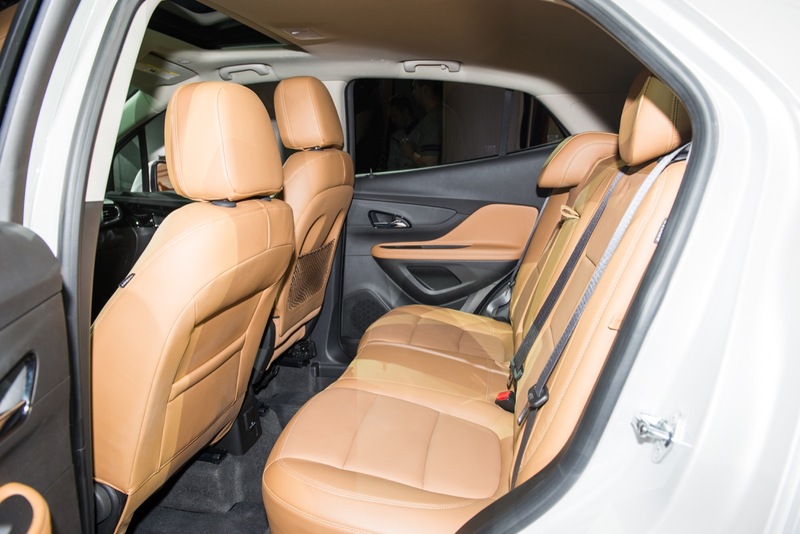 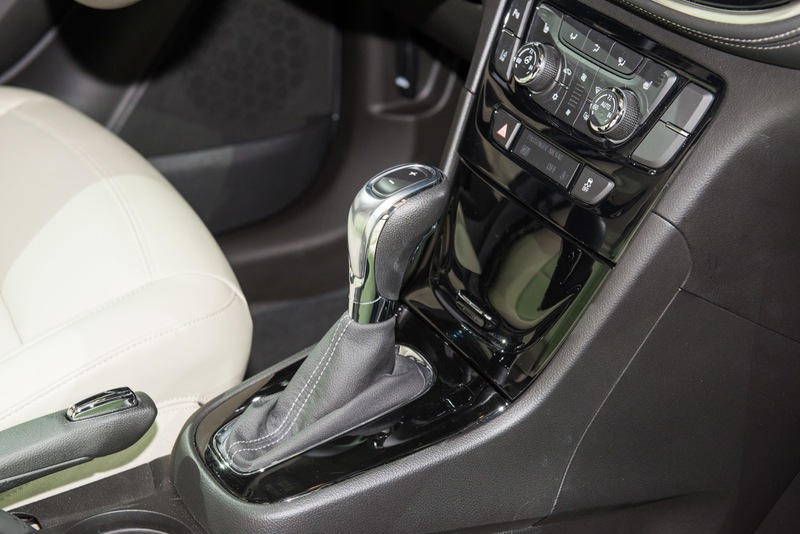 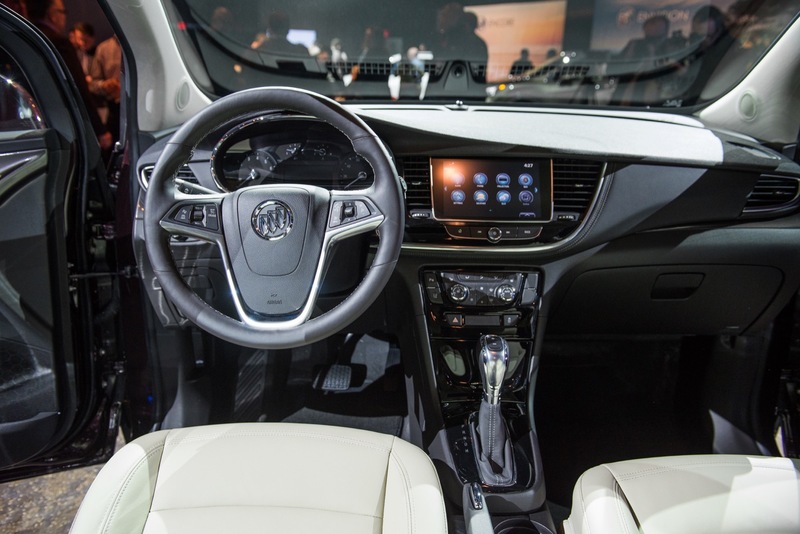 If you recently drove a 2013-2016 Buick Encore and thought that maybe there was too much plastic on the front fascia, or that maybe the clunky-to-operate screen in the center console seemed out of place and awkward, and voiced your concerns to Buick, give yourself a pat on the back. 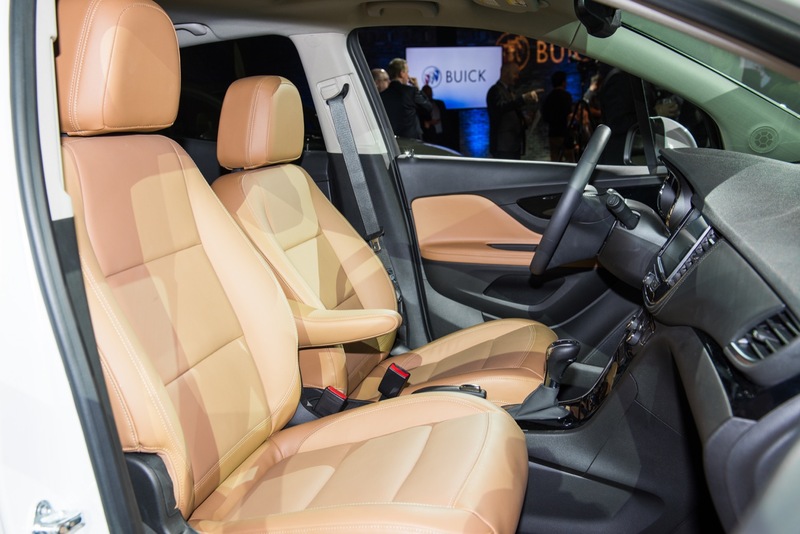 You’re a big reason why the 2017 Buick Encore shows itself with a more premium fascia and superior interior aesthetics. 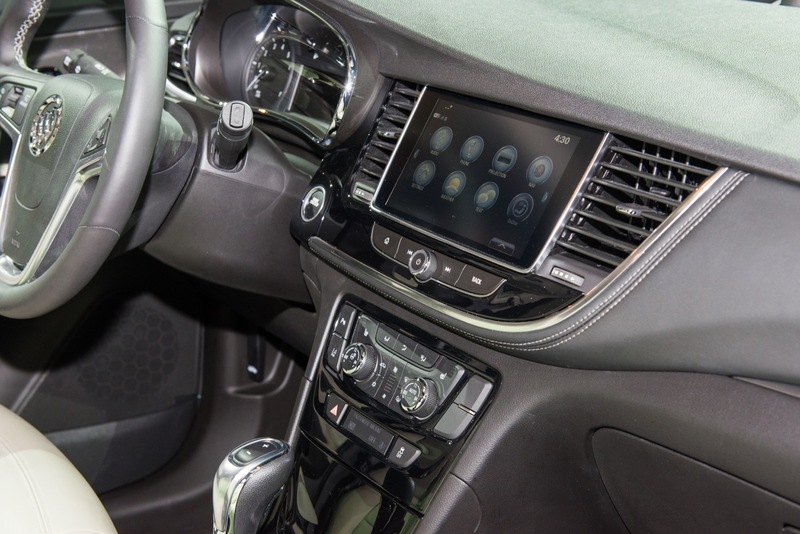 “We had a lot of feedback around infotainment in the vehicle, and that it wasn’t well integrated is what he heard back. 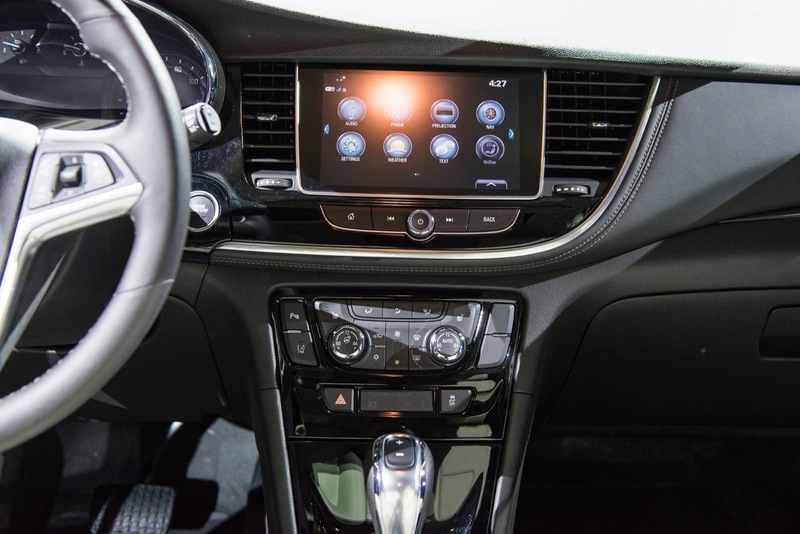 So we got a new 8-inch diagonal screen that’s more intuitive. 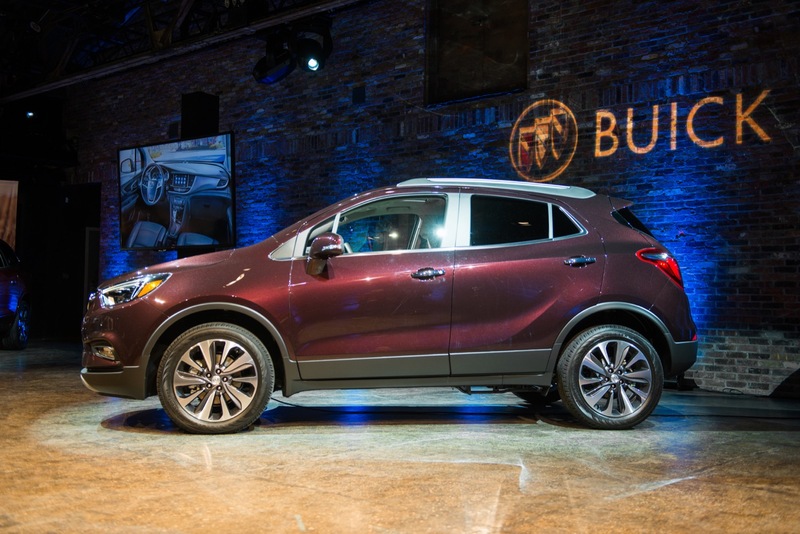 That was completely based on customer feedback. 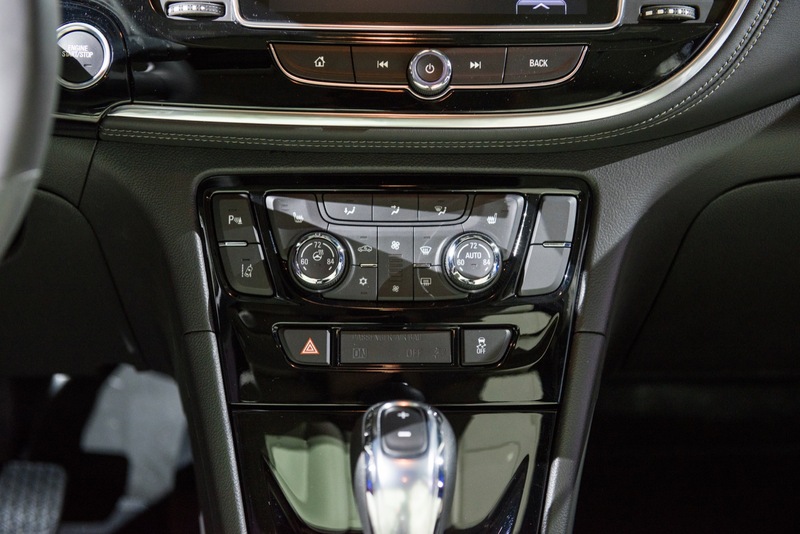 And there were some calibrations to get right. 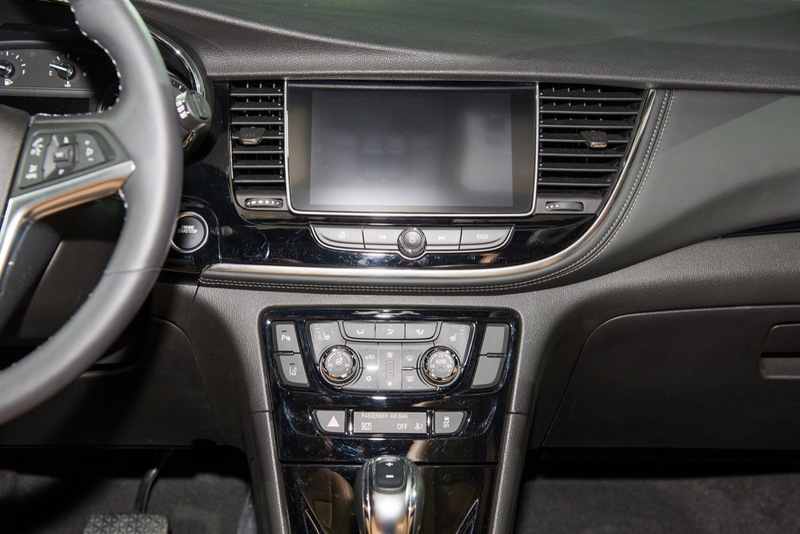 There were some different cals that we had to get right around the globe, depending on how a customer interacts with menus and whatnot. 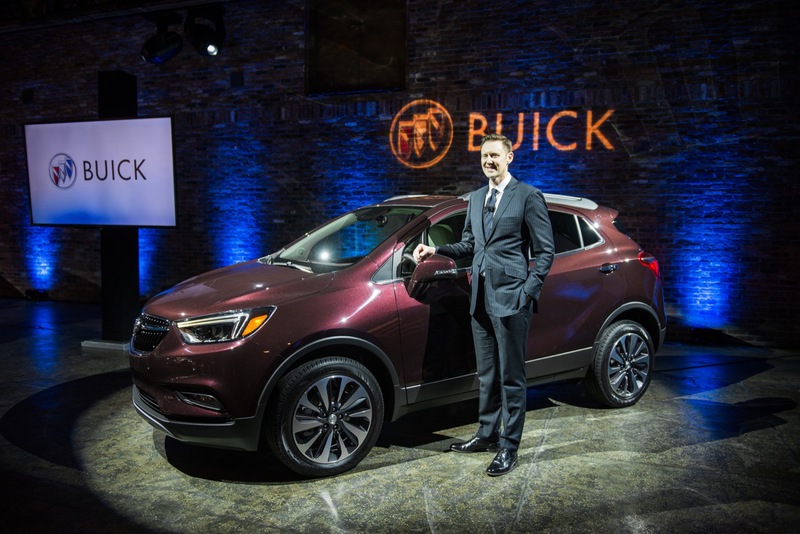 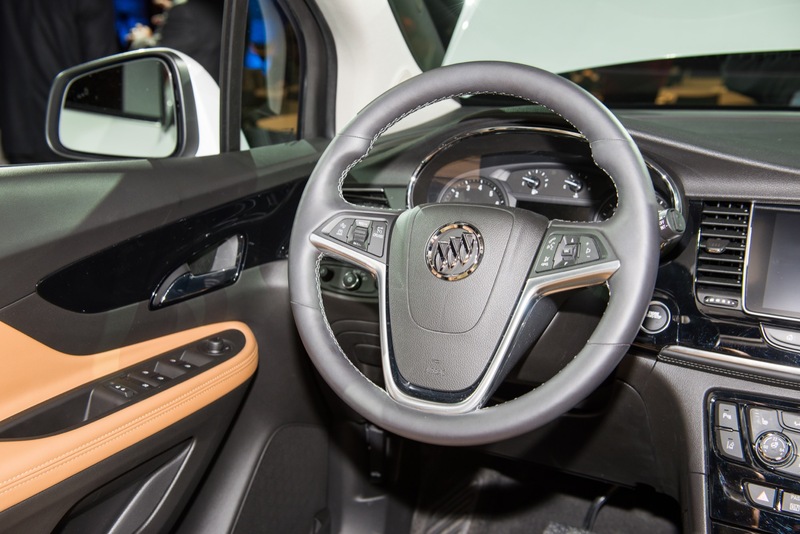 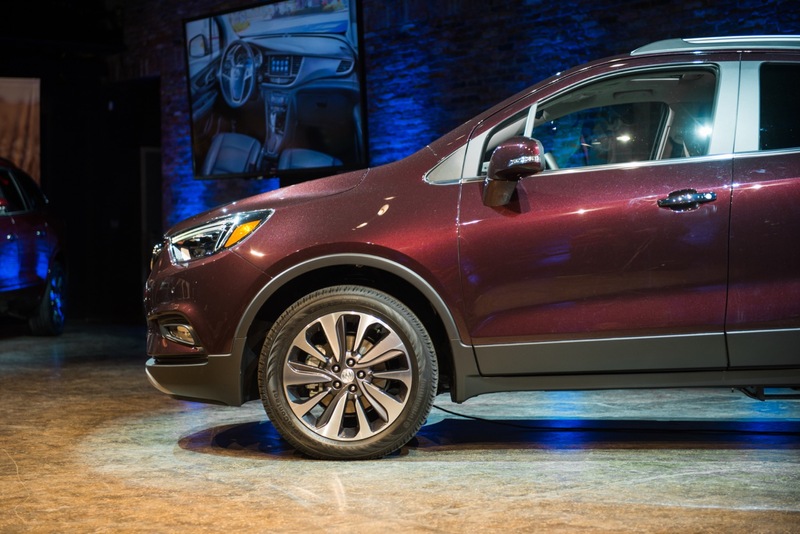 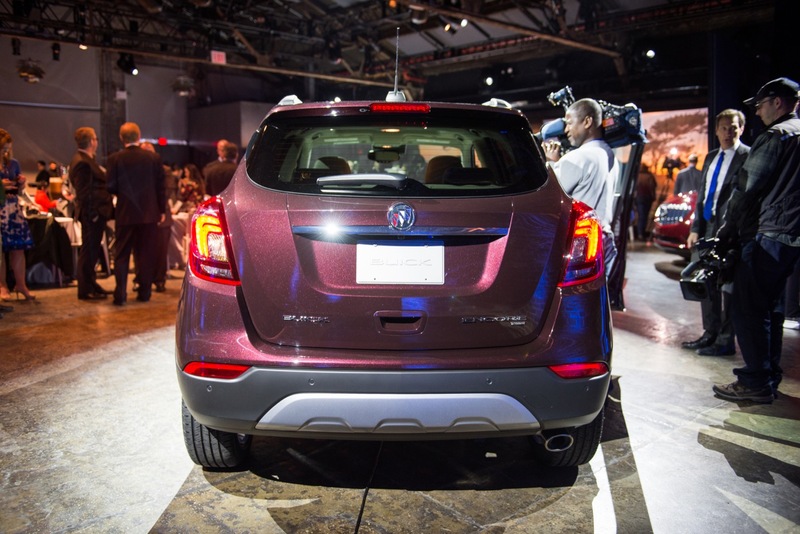 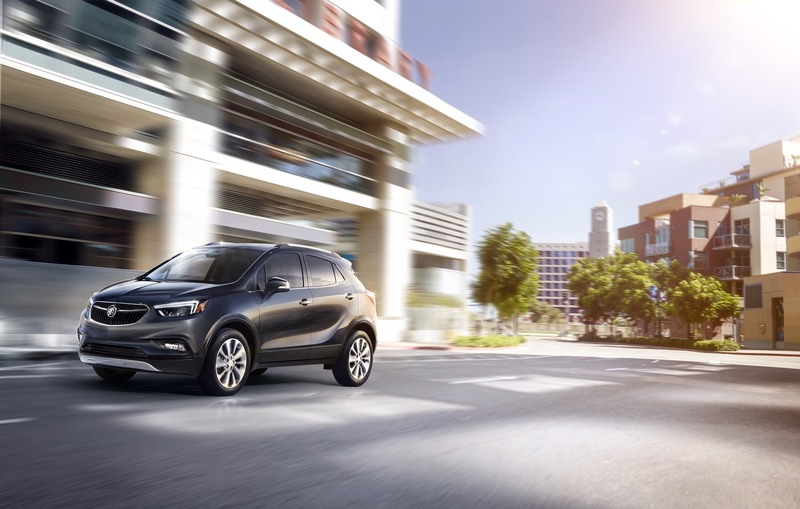 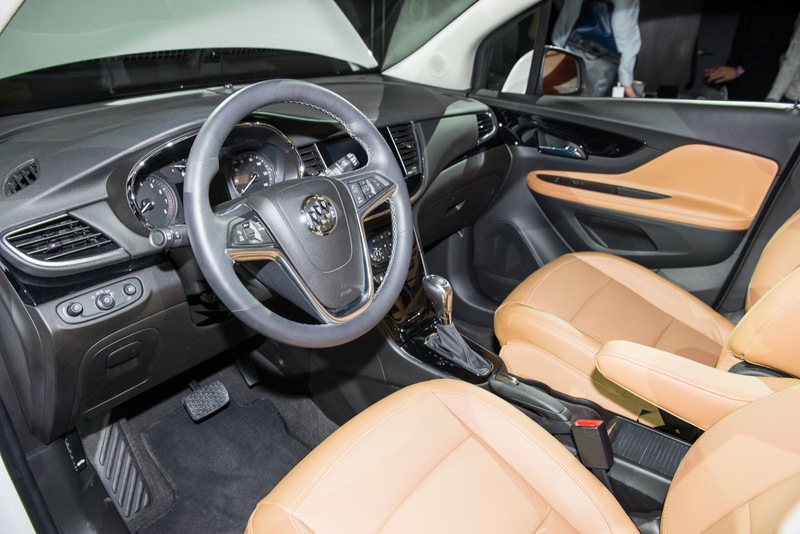 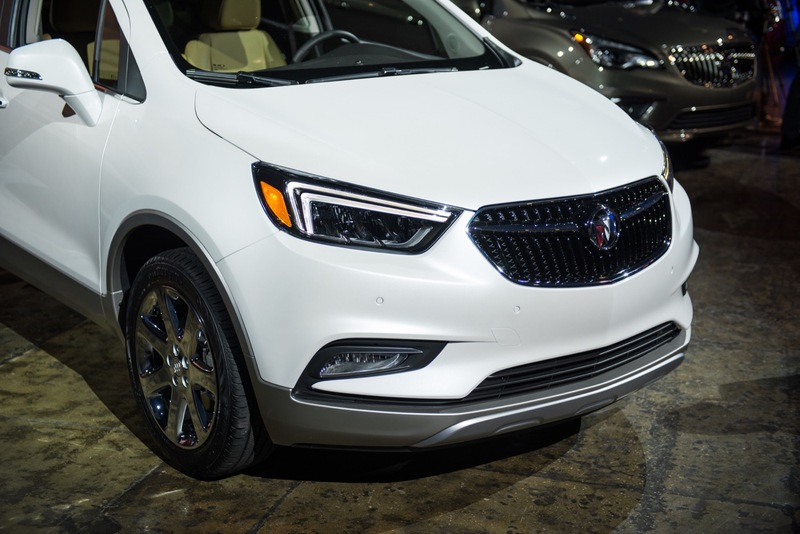 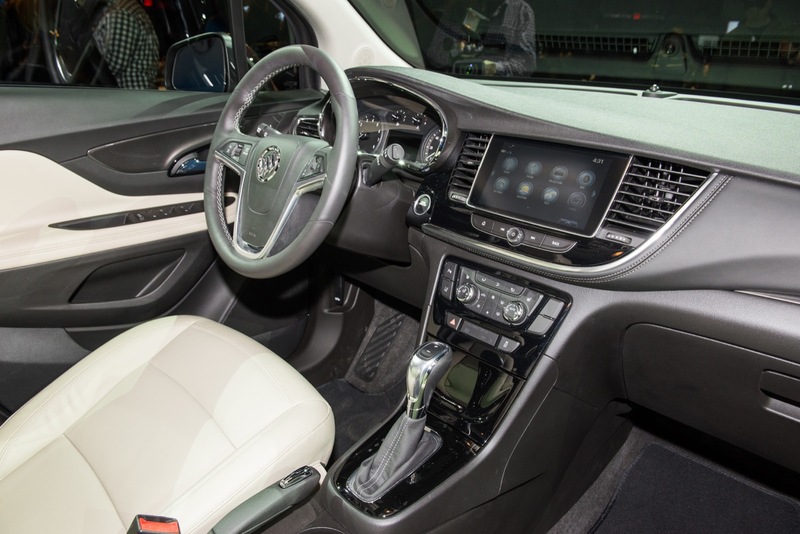 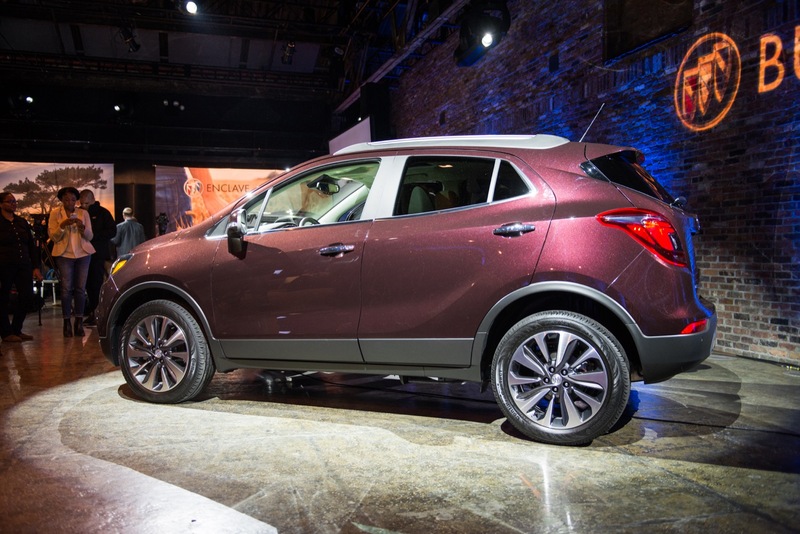 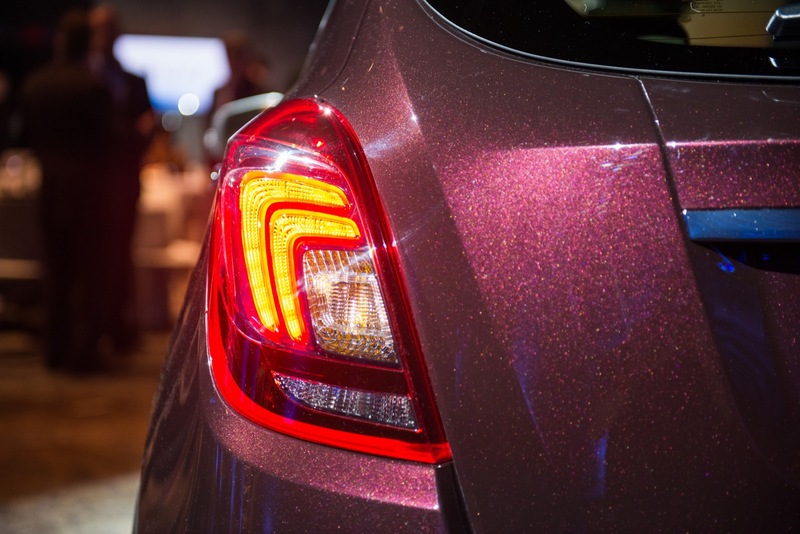 So that was important,” said 2017 Buick Encore assistant program manager Corey Partridge, in an interview with us at the 2016 New York Auto Show. 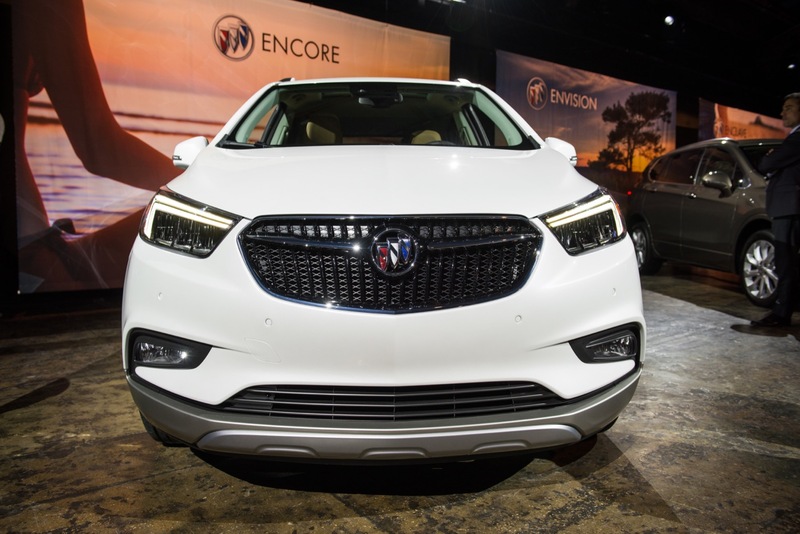 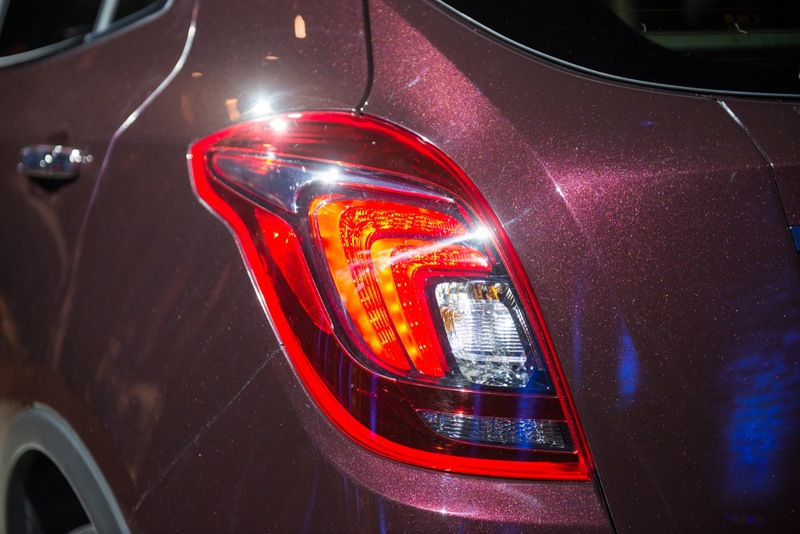 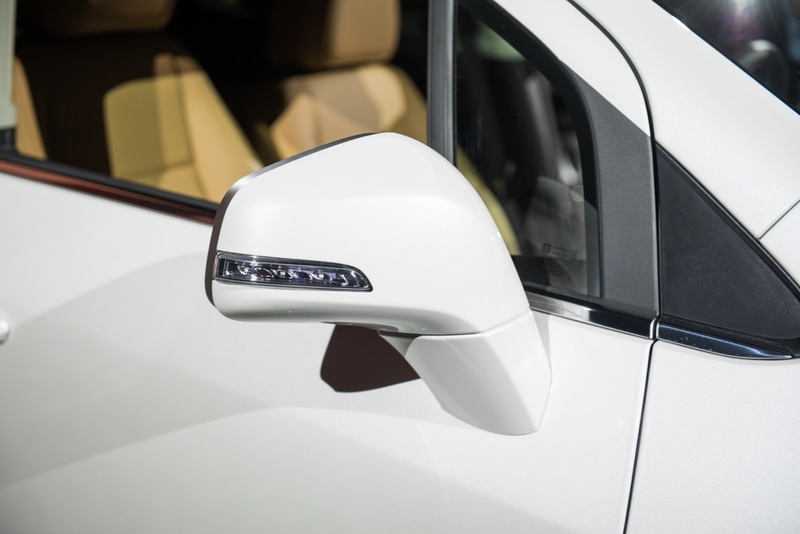 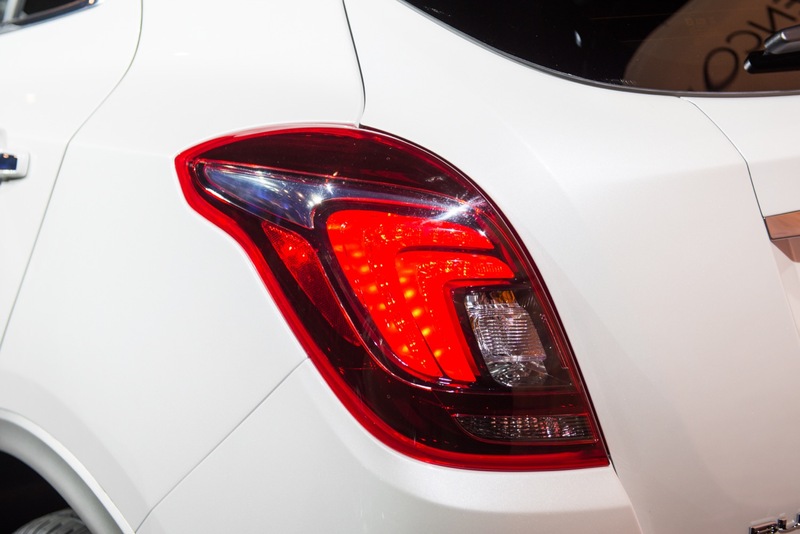 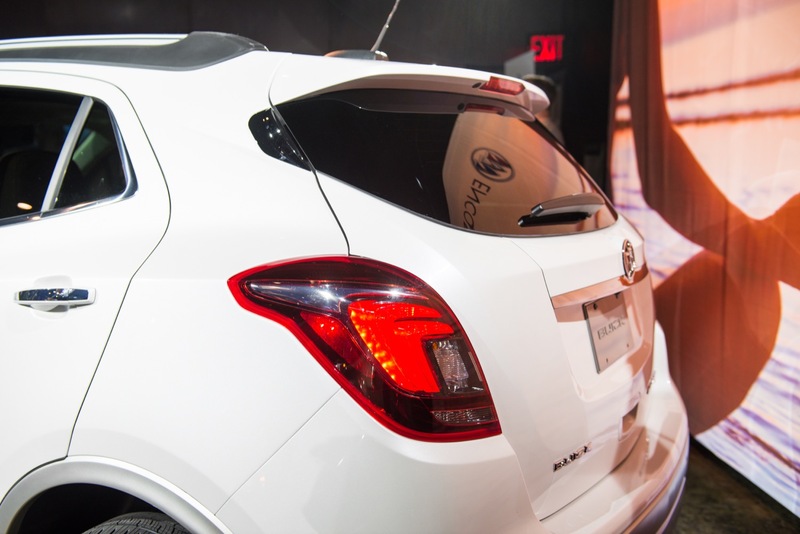 The 2017 Encore also benefits from a more premium front fascia. 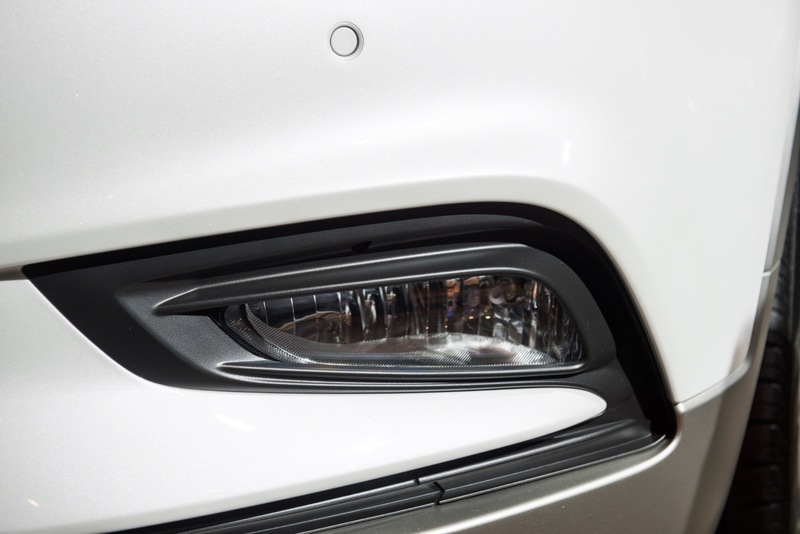 No longer is there plastic cladding riding up above the fog lamps. 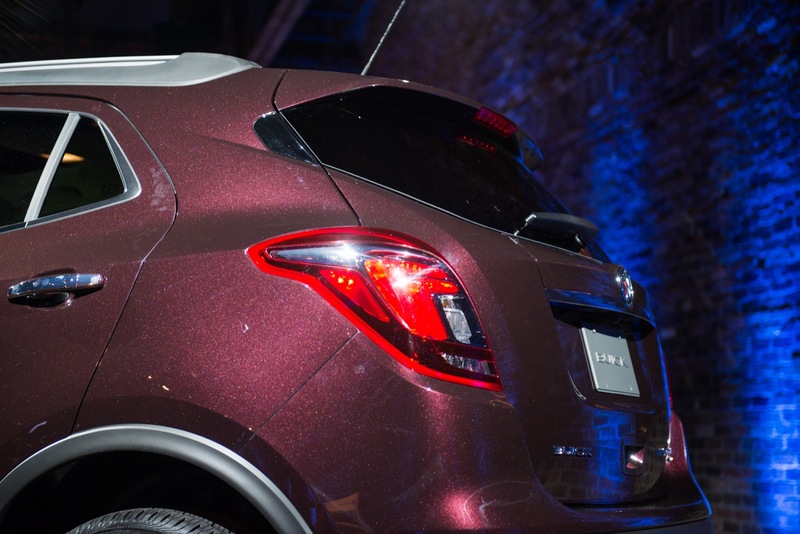 Instead, the body paint now fills the space where the cladding retreated. 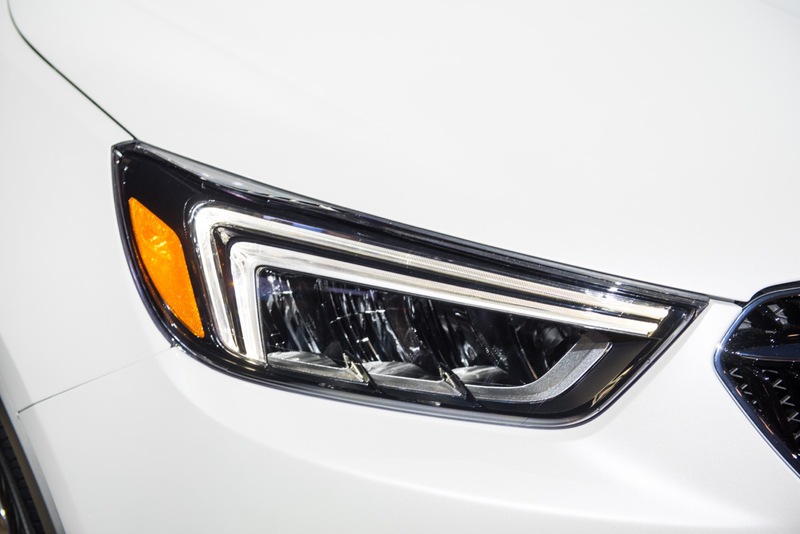 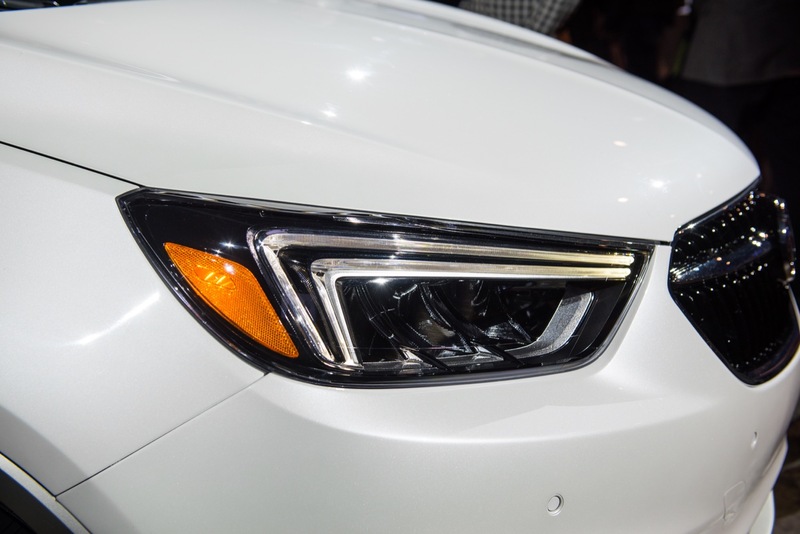 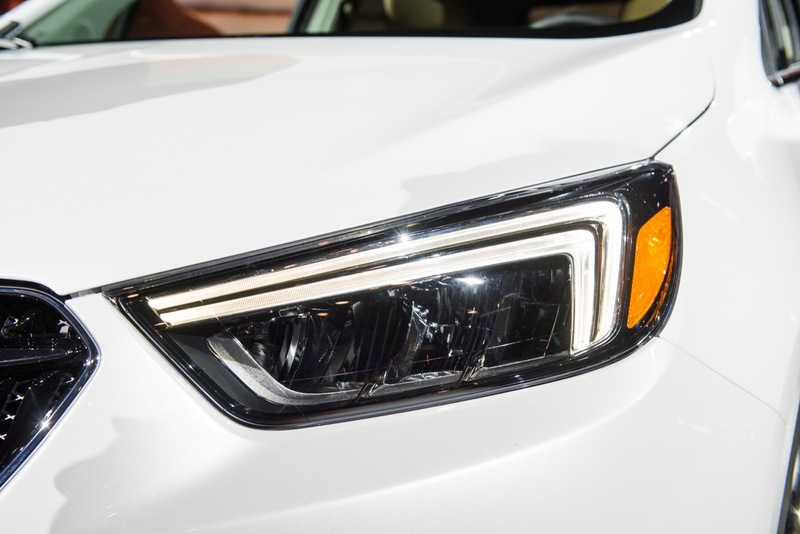 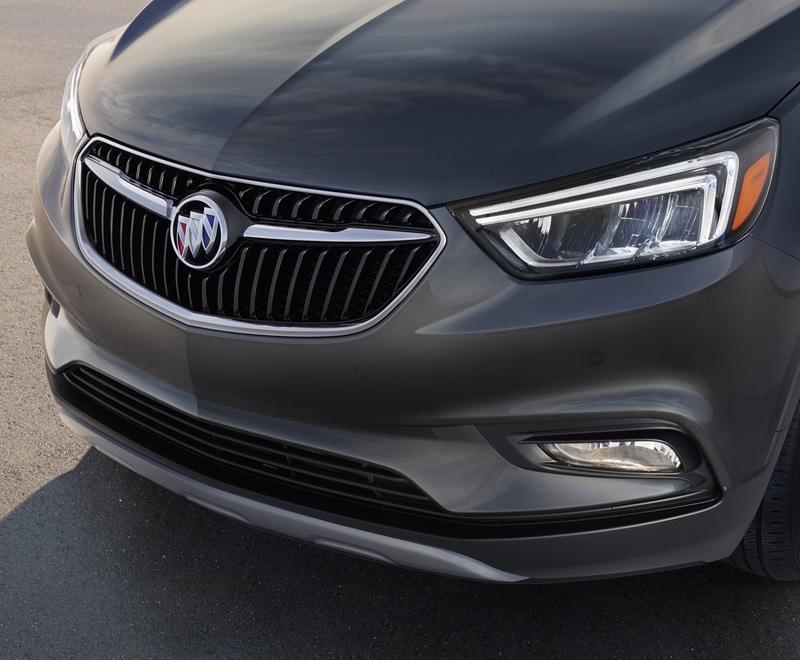 Couple that with LED daytime running lamps, a blackened waterfall grille, and a new colored trishield logo, and we’re looking at a much more elegant take on a B-segment crossover than we have before. 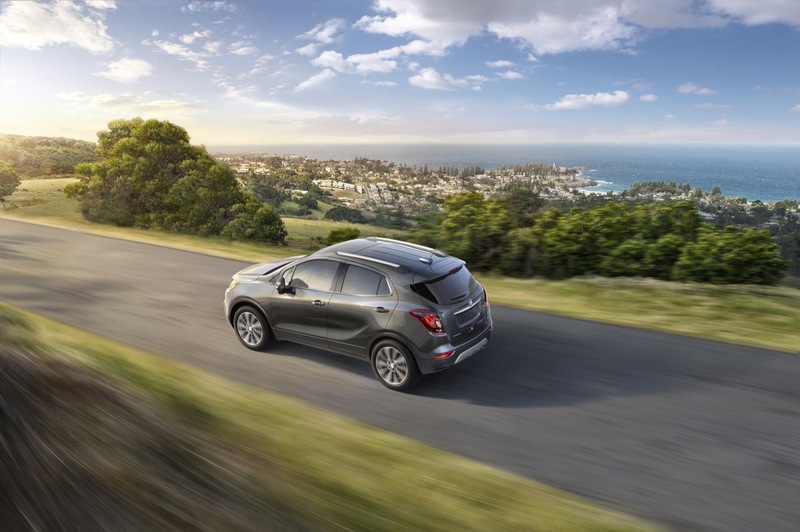 Next I hope is a little more oomph…..and maybe a full sky roof……if the Hyundai Elantra can have one, a Buick should have one too!!! 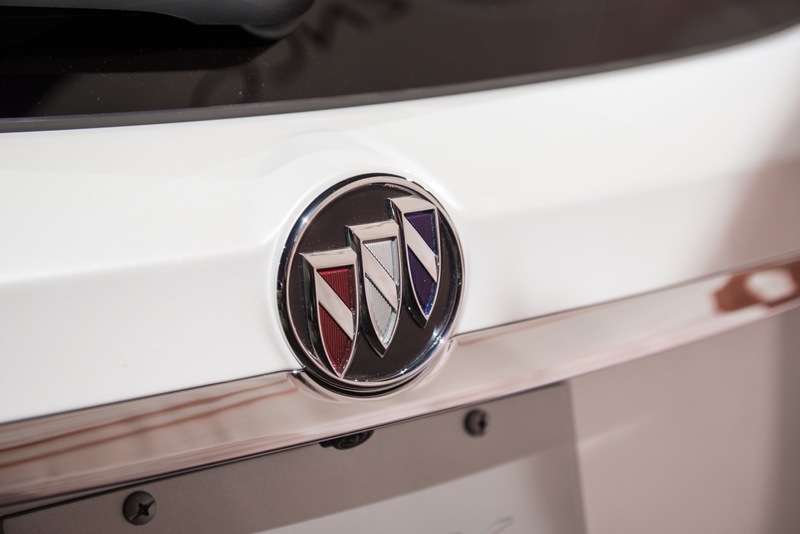 They didn’t listen enough, though. 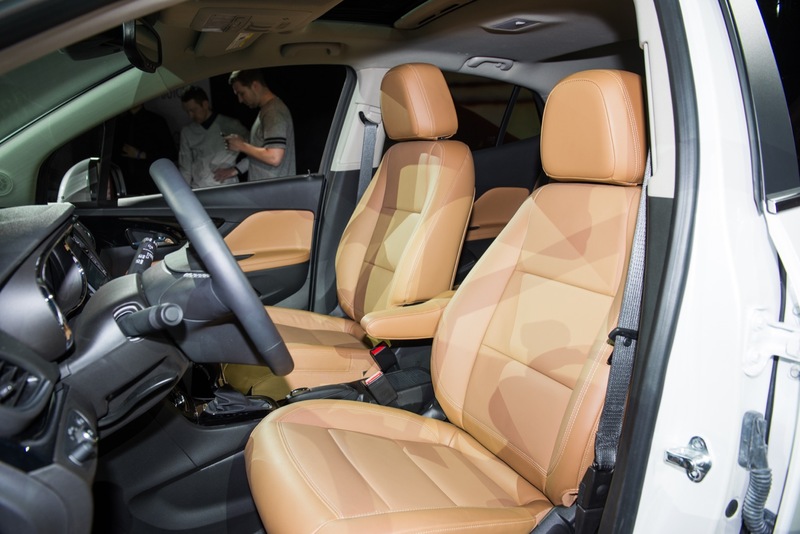 That single armrest needs to go. 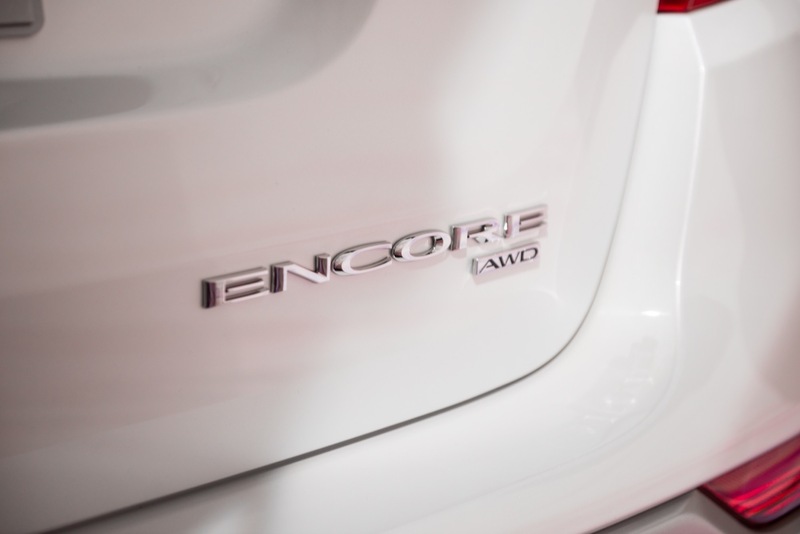 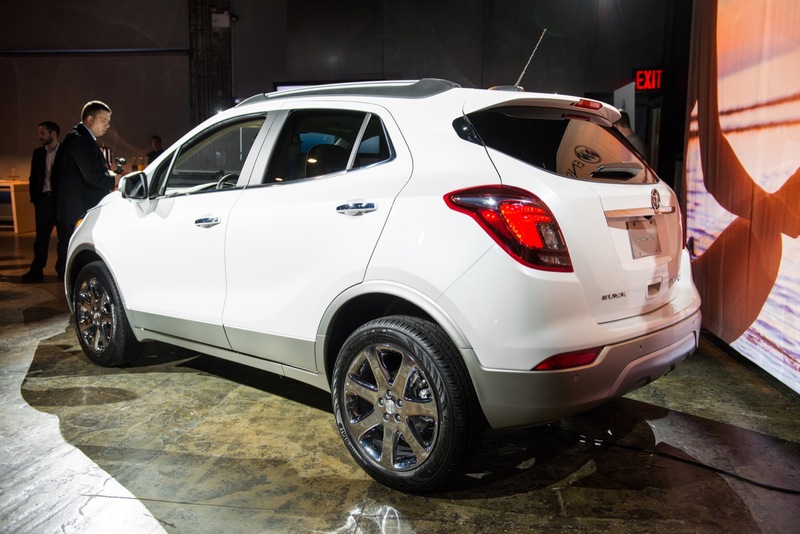 It’s not fitting of a premium/near-luxury vehicle like the Encore is (at least trying to be). 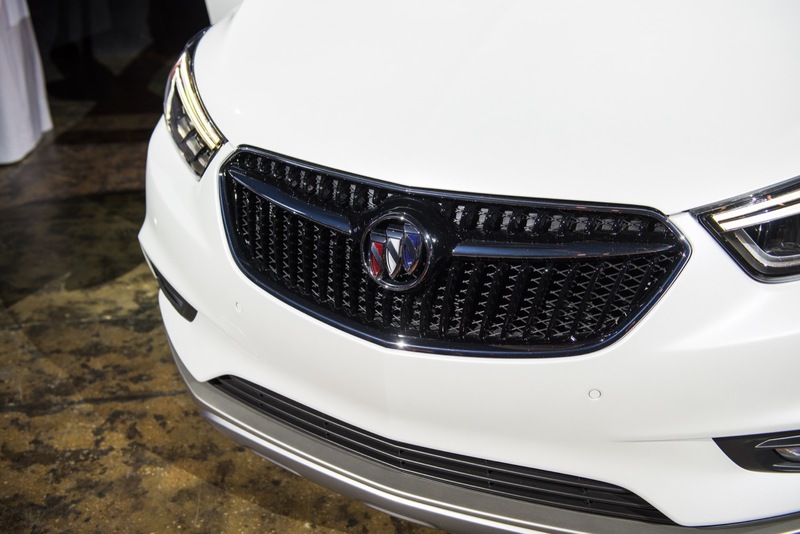 What hapenned on that, Buick? 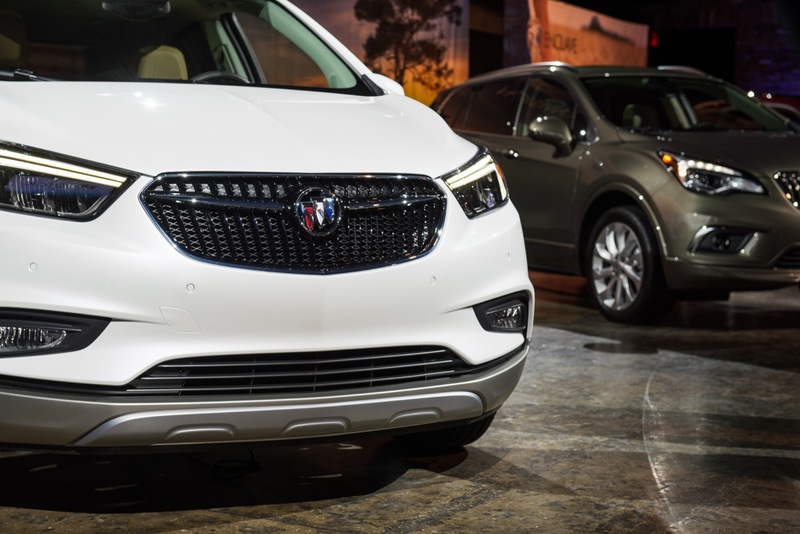 Really nice looking now, but needs the portholes if it’s a Buick! 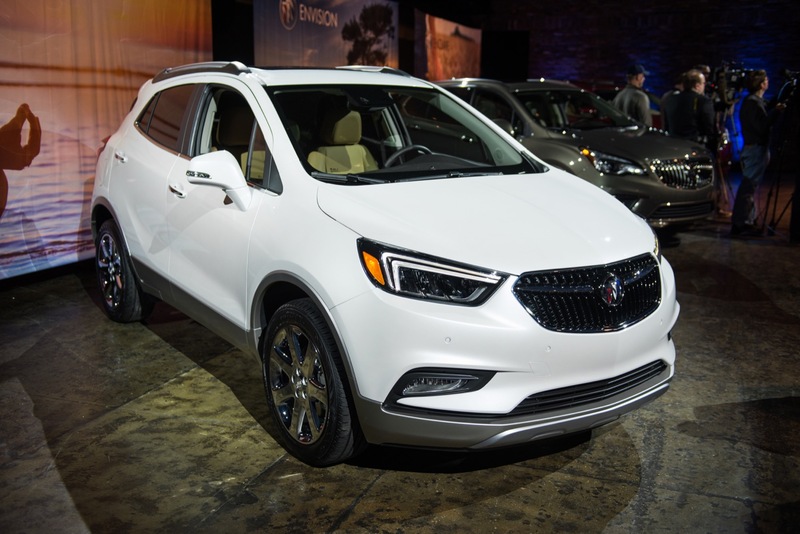 Needs an engine vs a squirrel in a cage too underpowered (was looking at it for my daughter but didn’t buy it) Also, of course, as critics noted, only stick people can fit in the back seat.